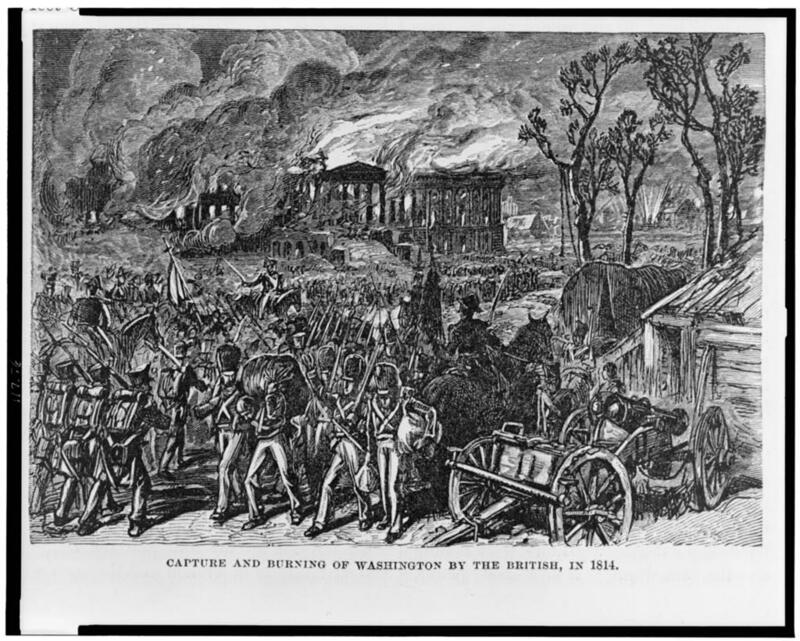 Burning of Washington DC in 1814. Sadly, the 1790 Census and the 1800 Census records for Virginia were lost. Apparently destroyed by the British during the war of 1812. This loss has a major effect on tracing this family line during the time before 1810. Additionally, many genealogies regarding Thomas are sparse or contain conflicting information. For example, one researcher indicates that his step-mother is Betsey Kinsey Pankey and that his sister was Betsey Kinsey Pankey. These other sources also indicate a lot of conflicting information. As such, this generation is difficult to trace and understand the family relationships. As such, additional research is needed. Thomas A. Pankey was probably born between 1755 and 1765. The 1810 Census shows him as the head of household and over 45 years of age, clearly indicating that he was born before 1765. Several other researchers have stated that he was born after 1755; however, I have been unsuccessful in finding a source for that assertion. Other researchers report that Thomas had several siblings, Philip, John and Samuel Hardin Pankey may be his brothers and Lelah may be a sister and possibly Betsy Kinsey Pankey, although other research indicates that Betty Kinsey Binford was his mother. Having a daughter with the same first and middle name as the mother is unusual but not unheard of. I need to do further research into the siblings of Thomas. Caroline M. A. Born c. 1811, d. after 1860. 1810 Census – Cumberland County, Virginia. 1820 Census – Cumberland County, Virginia. In 1826, Cumberland County Virginia had $350 of debt transferred to the estate of John P. Price. Thomas A. Pankey died in June of 1829. Further research the siblings of Thomas A. Pankey. Clear up the conflict of marriage date (1 Nov or 25 Nov 1785). Further research the children of Thomas A. Pankey. Ancestry.com: Virginia, Compiled Marriages, 1660-1800 (compiled by Jordan Dodd); Thomas Pankey & Martha Cannon.